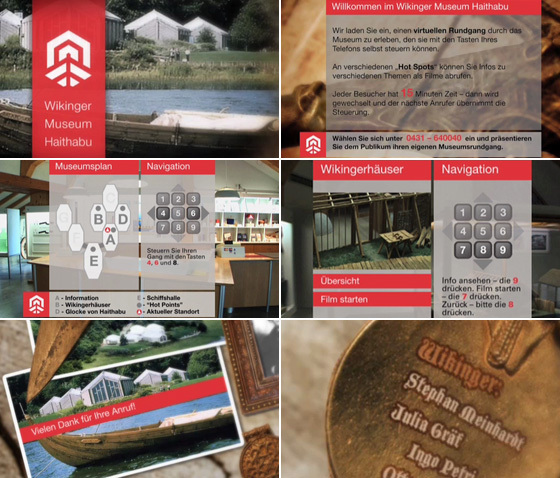 Multimedia technology as a tool for digital storytelling is widely used in European museums as well as virtual exhibitions on the Web. Bringing the museum to interactive TV is a novelty in the realm of museum likewise television. This project aims to set up technology and content for an interactive programme presenting museums to TV audience. Needless to say that this technology can not only be used for museums but also for the presentation of your company or institution. Awarded with Top Talent Quality Seal for highly innovative and creative solution by EUROPRIX TTA 2006 jury. Later the project was re-compiled for DVD where you could navigate through the museum with DVD remote.